What you’re not supposed to see… yet. It was only a matter of time – official game websites go up, and immediately, there are those who set to work decompiling the SWF files and uncovering hidden goodies. We’ve already discovered a list of tracks, but what happens when you dig even deeper? You get even more information we probably weren’t meant to see just yet. These are “All-Star Moves” for as-of-yet unannounced characters. 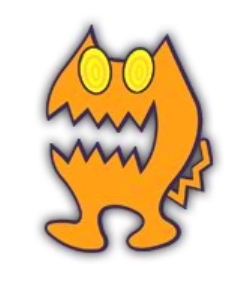 Obviously, the presence of the Space Cat solidifies the presence of Chu Chu Rocket, the PARTS SHOP balloon solidifies the presence of Fantasy Zone’s Opa-Opa, but – and maybe this is just a gap in my Sega Knowledge – who the zeppelin belongs to was initially a mystery to me. This is, presumably, a mock-up for the “Characters” section of the website, done up to look like the actual ASR character select screen. Sonic himself is selected. 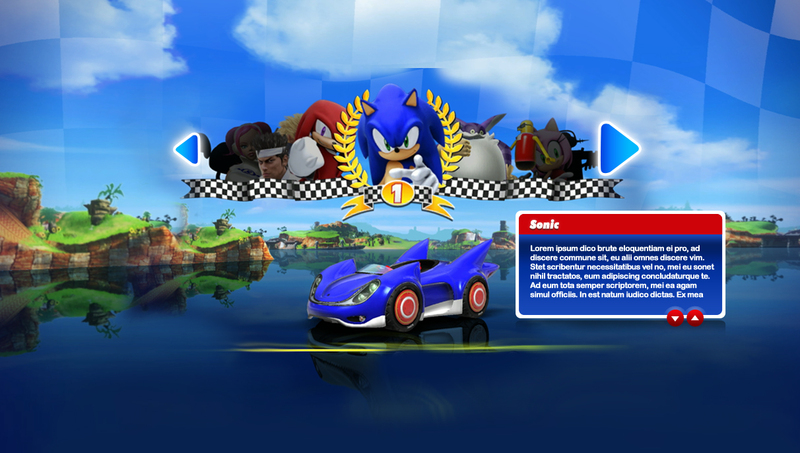 If you look to Sonic’s right, you’ll not only notice Big the Cat and Amy Rose, but sandwiched between the two are the Bonanza Bros. 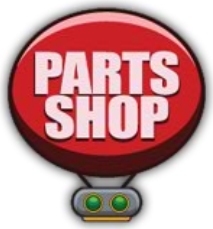 Though almost entirely a silhouette, it is most likely the silhouette of Fantasy Zone’s Opa-Opa, tying in to the “PARTS SHOP” balloon we see in Moves.swf. 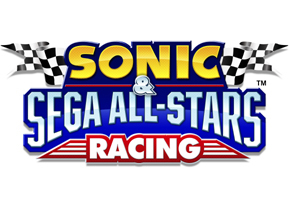 So that’s direct confirmation of a Chu-Chu Rocket Racer, Fantasy Zone’s Opa-Opa, The Bonanza Bros. and Virtua Fighter’s Jacky + Akira, all straight from hidden information buried within the official All-Stars Racing Website. If anything else is discovered, we’ll let you know.